The Furniture Classics 40-48 Dawson Cabinet is available in Hickory Park's, North Carolina Furniture Galleries. Hickory Park may be restricted from showing prices, however please select the Click For Quote button and Hickory Park Sales and Design Staff will reply or please call (828) 322-4440 for more information. 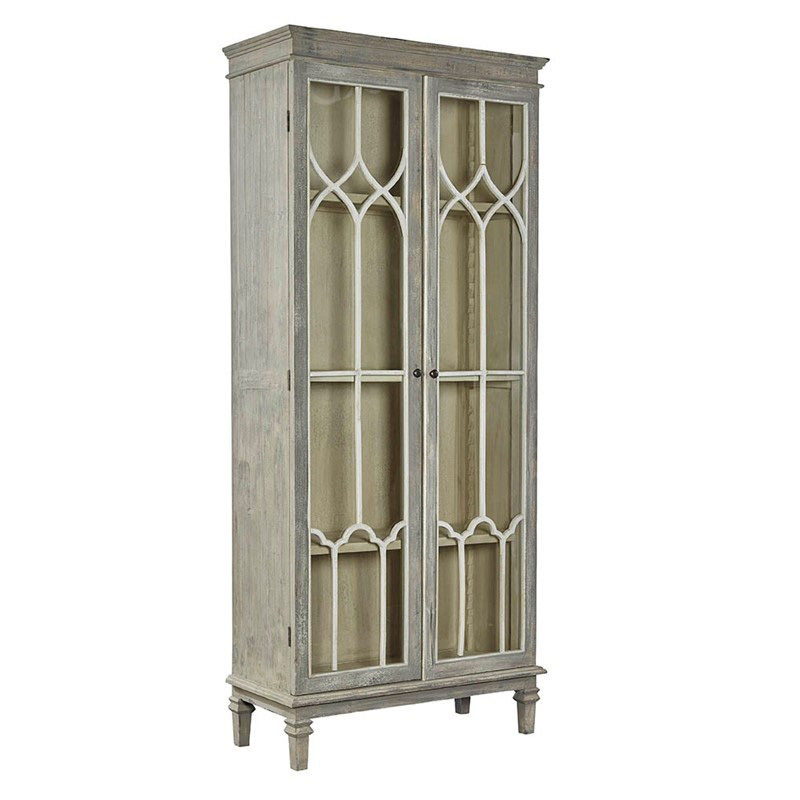 Wood type: Recycled pine Reminiscent of the clerestory walls of the great cathedrals of Europe, the delicate tracery on the glass doors of this exquisite recycled pine cabinet draws your eyes up to the heavens The cabinet is finished in a mid-tone grey with soft white accents, and features a cream interior with bird beak detailing for adjustable shelves with plate grooves. Click here to receive price quote for Cabinet 40-48 item.